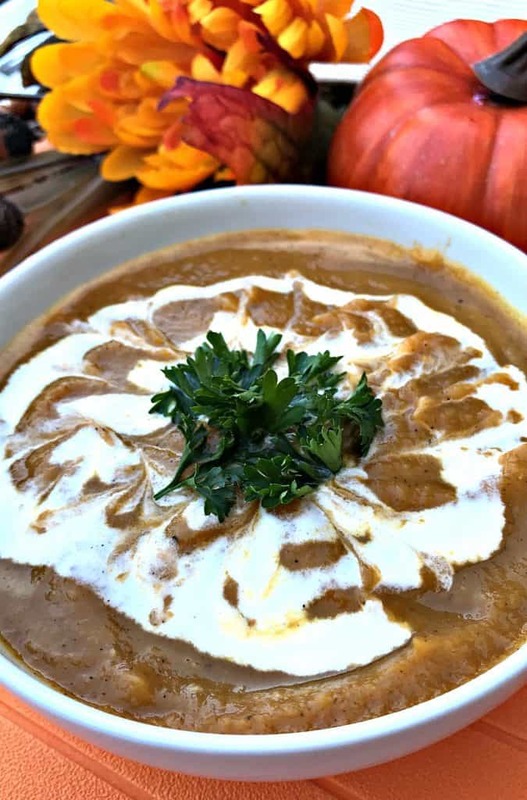 Instant Pot Pumpkin Spice and Sweet Potato Soup is a quick and easy, healthy, low-calorie pressure cooker recipe perfect for fall. This gluten-free and vegan soup is similar to a butternut squash bisque. The instructions include details for how long it takes to make pumpkin soup and how to make pumpkin soup from scratch. Fall is definitely in the air. 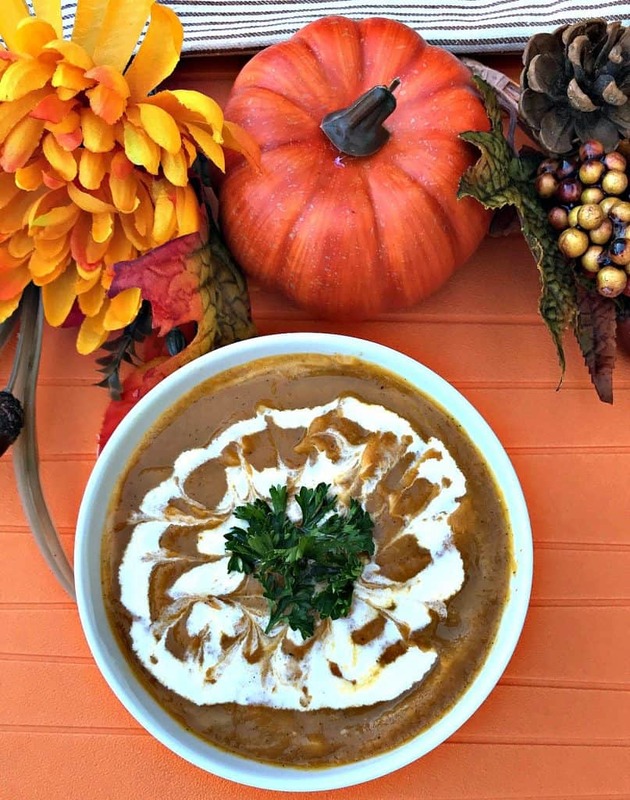 Fall weather means pumpkin spice recipes, it also means more soup! I decided to combine those worlds with this recipe. I also added sweet potatoes as another veggie to the mix. I love to use the Instant Pot to make baked potatoes and sweet potatoes. It truly saves so much time! It takes 45 minutes to an hour to bake sweet potatoes in the oven. You can make them in the Instant Pot in 1/3 of that time. If you don’t have an Instant Pot you can use a slow-cooker to prepare this recipe. You can also cook it on the stove. How Do You Cook Pumpkin in the Instant Pot? 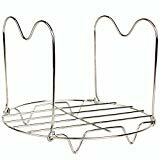 For fresh pumpkin, you will need to use the trivet rack that comes with the Instant Pot. For every 2 pounds of fresh pumpkin, you will need 1/2 cup water. Place the pumpkin flesh on the trivet and pressure cook for 15 minutes. 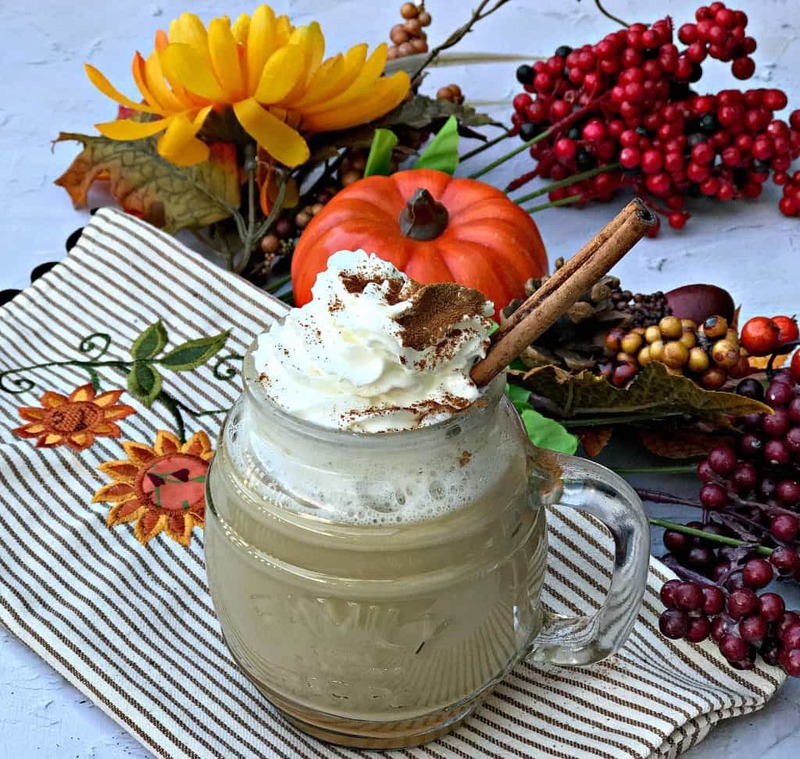 Pureed pumpkin is used in this recipe. It can be cooked for 5 minutes in the Instant Pot. 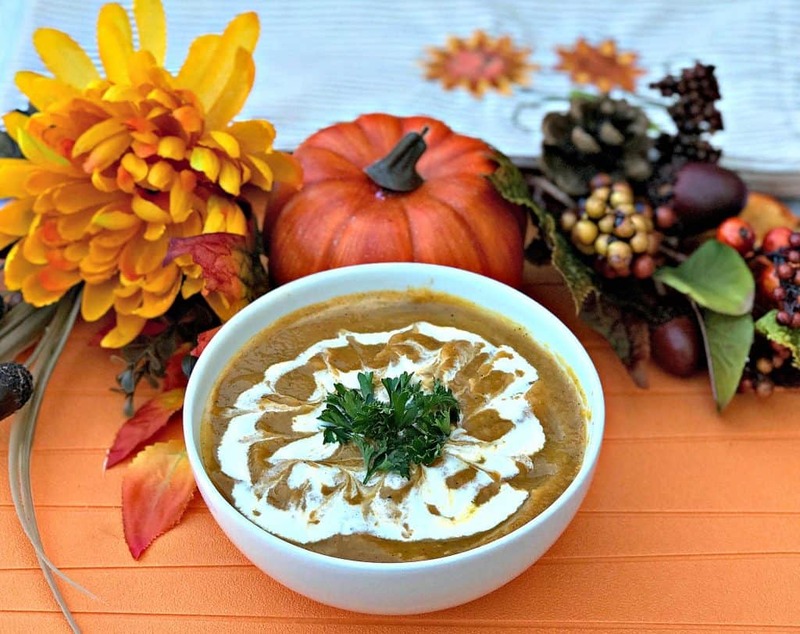 How Do You Make Pumpkin Soup From Scratch? Follow the instructions above using fresh pumpkin. Add spices to the soup and pressure cook in accordance with instructions noted below. What Spices Do You Add to Pumpkin Soup? I like to use cinnamon, nutmeg, ginger, salt and pepper. How Long Does it Take to Cook Pumpkin in an Instant Pot or Pressure Cooker? Fresh pumpkin tastes 15 minutes. You can do a lot with this soup in terms of toppings. You can top the soup with pumpkin seeds, croutons, cooked and crumbled bacon, and so much more. 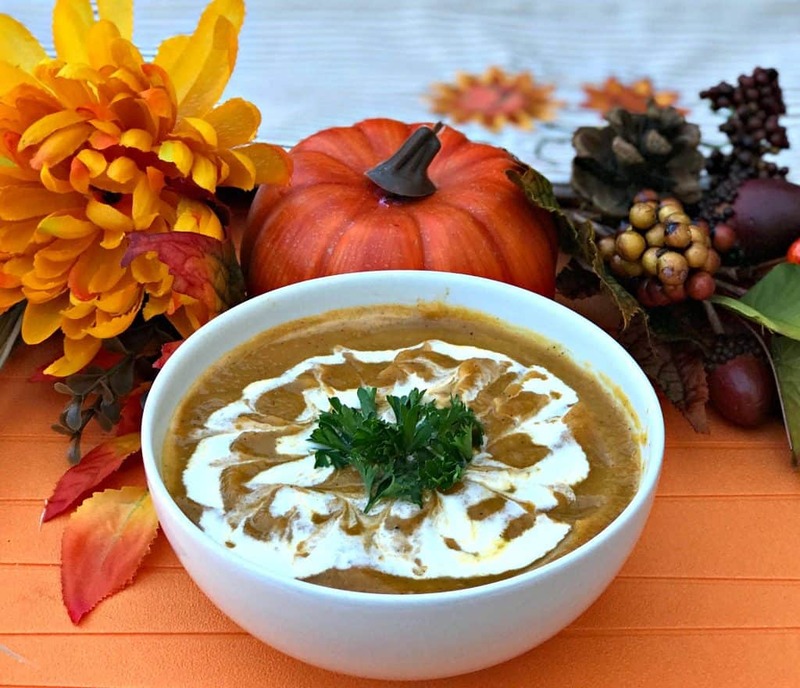 Pair this soup with an Instant Pot Pumpkin Spice Latte! You will want to use an immersion blender to puree the soup once it is cooked. Click here to check out a quick video on how to prepare this soup! 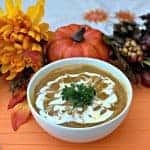 Instant Pot Pumpkin Spice and Sweet Potato Soup is a quick and easy, healthy, low-calorie pressure cooker recipe perfect for fall. Place 1 cup of water in the Instant Pot. Add the trivet to the pot. This comes with the device. Place the sweet potatoes on top of the basket. Close the lid and seal. Set to Manual High Pressure for 16 minutes. Allow the steam to release naturally instead of the quick release. Remove the sweet potatoes and mash. Add the mashed sweet potatoes and the remaining ingredients to the spot. Stir to combine. Close the lid and seal. Cook on Manual High Pressure for 5 minutes. Use an immersion blender to puree the soup until smooth. You can also use a standard blender. I topped the soup with coconut milk. You can use heavy cream, half and half, etc. That looks too good to eat. A work of art. I bet it is delicious too. I am going to have to get me an instant pot and try some of your recipes. Wow, does this soup look and sound delicious! I love both pumpkin and sweet potatoes and making a big pot of soup is one of my favorite things about fall. While I don’t yet have an Instant Pot, I’m definitely going to give this a try in my slow cooker! I love how you’ve styled it, looks so yummy! I would totally make this for my inlaws. Definitely thinking I need to invest in an instant pot! This sounds so delicious!! I’m all about pumpkin 🙂 Can you make it in a crock pot too? Or maybe I just need to buy an Instant Pot! Yup! I mention that you can use a slow-cooker in the body of the post. Using an Instant Pot just saves time. I love pumpkin soup! I have never made it with sweet potatoes. I’ll have to give this a try! Pumpkin spice is definitely something I’ve been into lately and I’d love to incorporate it into more dinners. Another great reason to bring out my Instant Pot! Looks yummy and so easy!! I don’t have an instant pot but have been seeing more and more recipes I’d love to try. 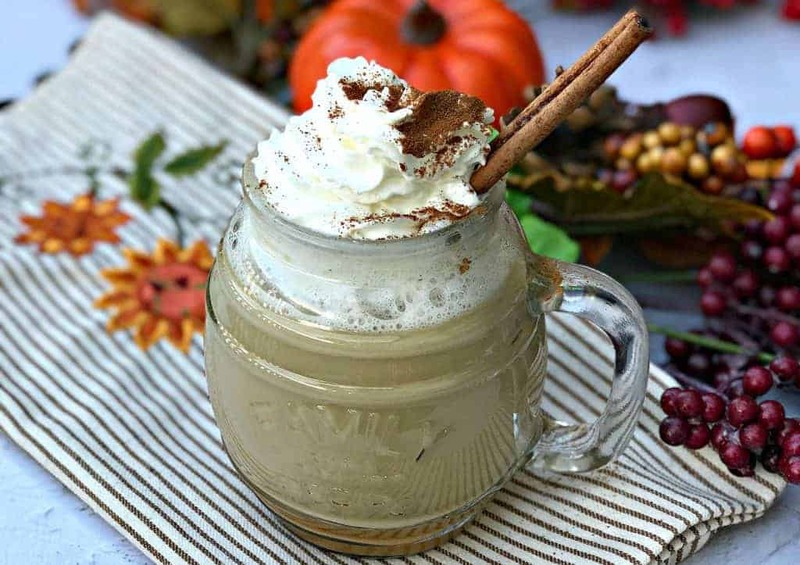 I bet pumpkin lovers will be all about this recipe. I might try it without the pumpkin, I love sweet potatoes! You’ve done gone and done it. I’m an avid fan and newsletter subscriber. My birthday is Saturday and my friend got me an Instant Pot off my Amazon Wishlist. I can finally make some of your recipes. Thankfully, this one is vegetarian. I will start with it! Awesome! Yay. Happy early birthday. I wish I could post an emoji of me drooling right now. This sounds soooo good. I love both ingredients and together, they are probably heavenly. I want to try this. It would be the perfect pairing for my Sunday dinner. I love me some sweet potatoes. I have been needing some recipes for my Instant Pot and this one looks yummy and healthy!! I will definitely be trying it!! This looks absolutely divine! Thank you for including the nutritional information! It helps me better make the right choices when finding recipes online. I also love that this is an instant pot recipe. 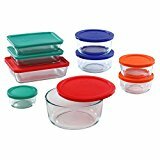 So much time is wasted in the kitchen, and this makes it so much easier! Sounds delicious! I’m not a big fan of soups but I’ve been waiting for a good pumpkin recipe to try. So thank you for sharing! um yes please! this just screams fall! i have been meaning to make a soup this week and i just might have to make this one! 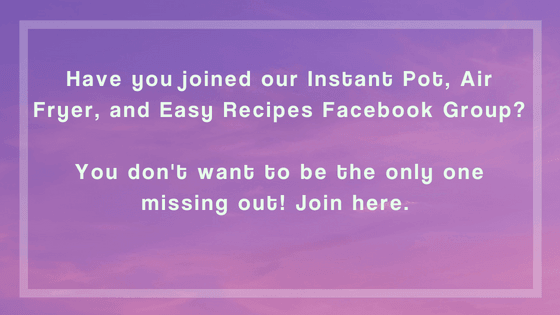 I’m loving your instant pot recipes, and each day you convince me more that I need one! I love to make soup in the slow cooker, I think I will enjoy it much more in the instant pot, also a great opportunity to try pumpkin! I promise myself to try out a few of the recipes as listed in the post. I hope mine turn out to be as good looking as yours. Haha !! 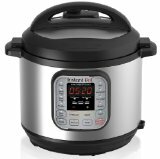 You are killing the instant pot! And what a combination – pumpkin spice and sweet potato. Yum! And so season-appropriate, and waistline friendly. Loving it! Yes! There is nothing better than an instant pot meal when its cold outside. Actually, pumpkin soup is better, so this is totally winning! OMG, yum!!!!! This looks so amazing. And I love all of the topping options!!! I have an instant pot and though I am still learning to use it – it is one of the best kitchen tools I have. This recipe for pumpkin and sweet potato sounds so delicious!!! I need to try this! Your pumpkin spice soup looks very easy. However, you say use 1 can of broth – how many oz are you talking about – cans come in all sizes! Your recipe would be even better if you were more specific in the amount of the ingredients needed. Besides the pumpkin you could say how many oz by weight for the sweet potato. And maybe mention how many oz or cups for the onion rather than saying 1/2 an onion. Also there was no link to your video presentation. 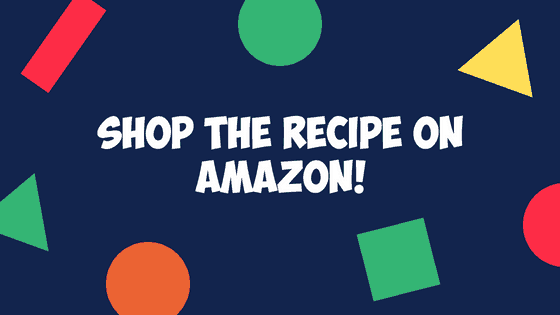 Thanks for the recipe – looking forward to making it soon. Thank you for your suggestions on this post! I did make some changes to the recipe. Are you viewing on desktop or mobile? On desktop the video auto plays on the right side of the post. On mobile you have to press play on the video which displays directly above the recipe card. I count freestyle points with weight watchers and I need to know how many ounces are in those two medium sweet potatoes. The ounces will vary. You should weigh the sweet potatoes you purchase and input that actual weight into your calculator.